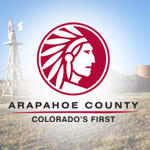 Ever wonder how Arapahoe County spends your tax dollars? Property tax is the largest source of revenue for the County, but where does it all go? We're going to answer those questions and much more. Join Commissioner Nancy Jackson of District 4 for an informal discussion about the County's budget and property taxes with guest speakers Lisa Stairs and Jessica Savko, Budget Analysts for Arapahoe County. Enjoy free coffee and refreshments while asking questions and sharing concerns. Let's make your community a better place to live!